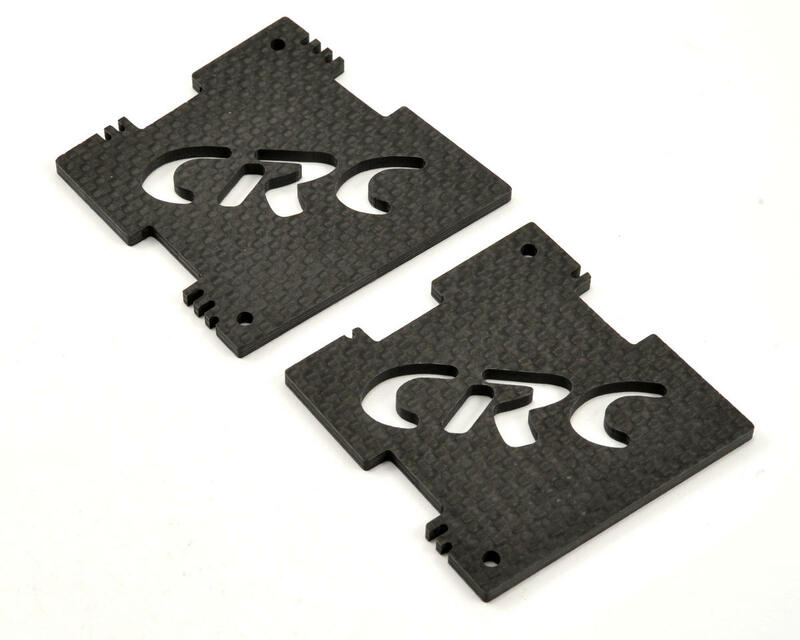 This is a CRC Carbon Fiber On Road Camber Gauge Set. 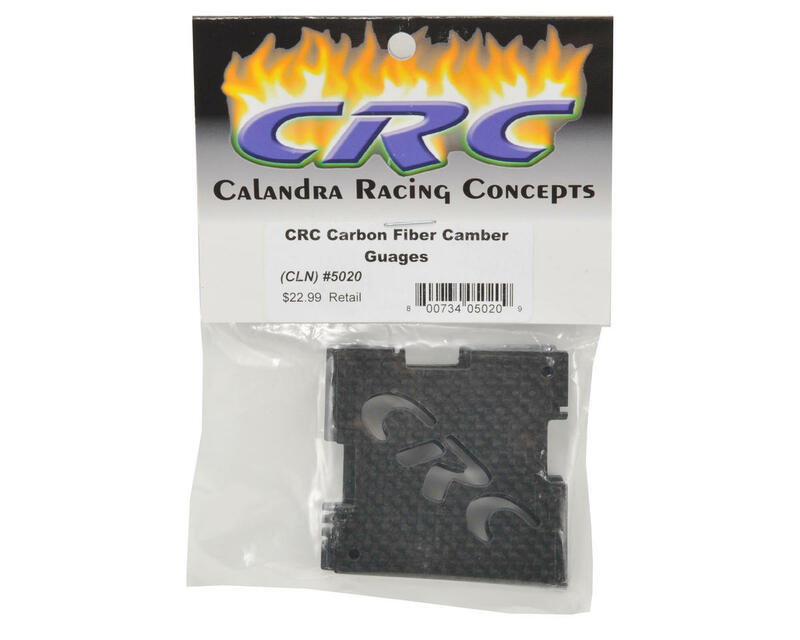 These camber gauges are machined from carbon fiber, and are used to set the camber on 1/12 & 1/10 pan cars and touring cars. One gauge features .5°, 1°, and 1.5° measurements, while the second gauge features 2°, 2.5° and 3° measurements. The small notches represent .5°, and the large notches represent 1°.